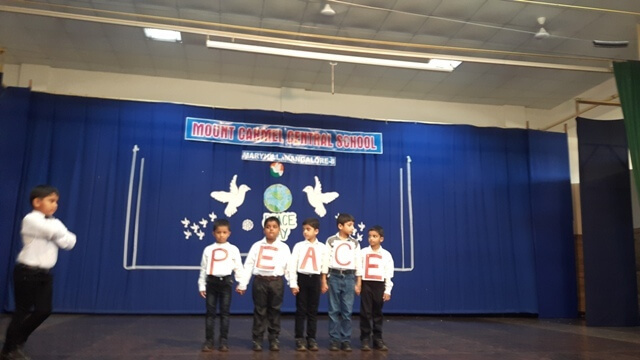 Peace Day for India or Martyr’s Day was celebrated in our school on this day – January 30, 2017. 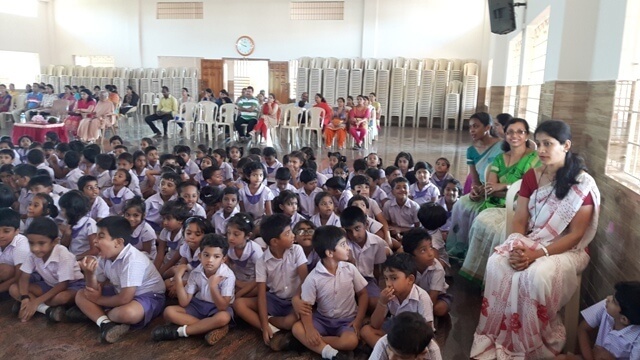 The students of classes I D and E hosted the programme for KG to Class III at which Dr. Glynis Miranda graced the occasion as the Chief Guest. 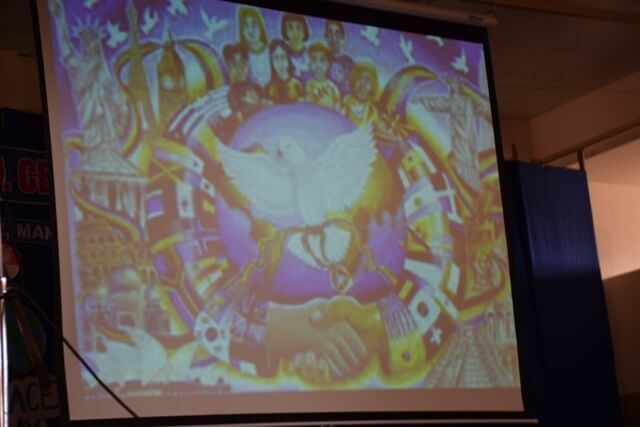 The event commenced with a short prayer service, to make each one a channel of peace when faced with unexpected storms of life. 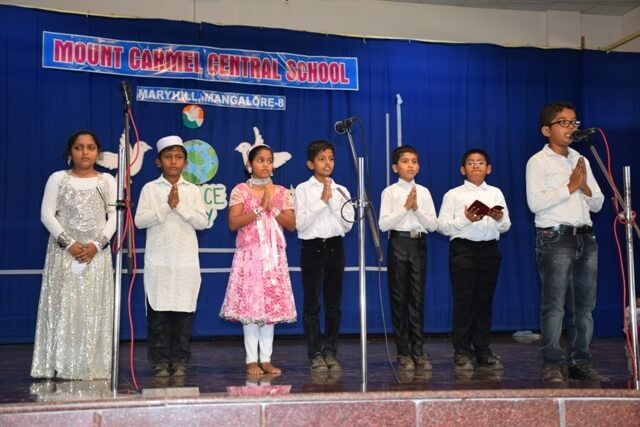 The students gave a warm welcome to all gathered. 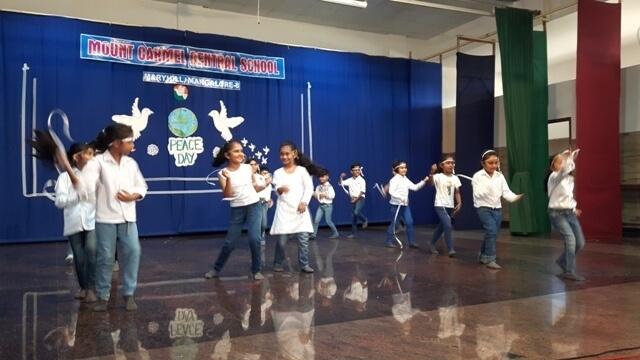 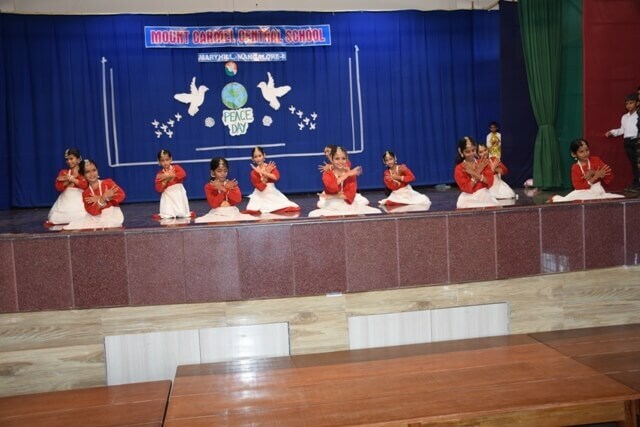 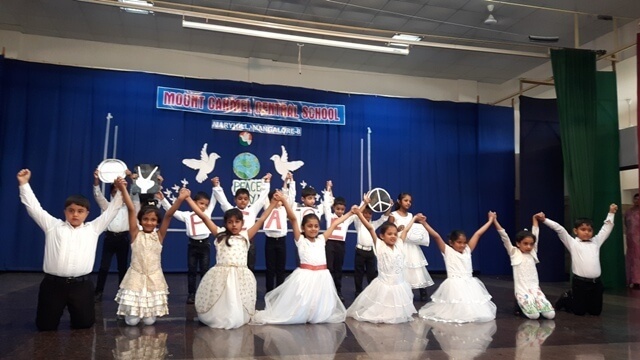 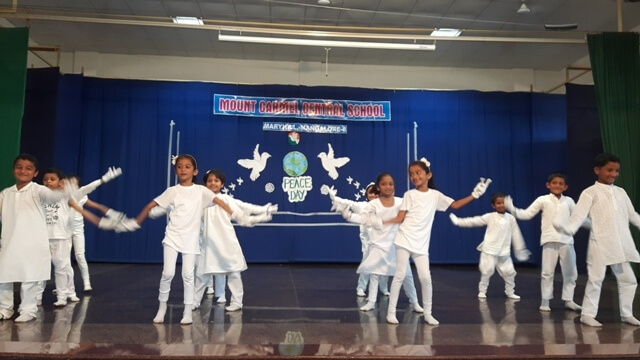 The students enraptured and enlightened the audience with their cute and short dance performance with symbols of peace. 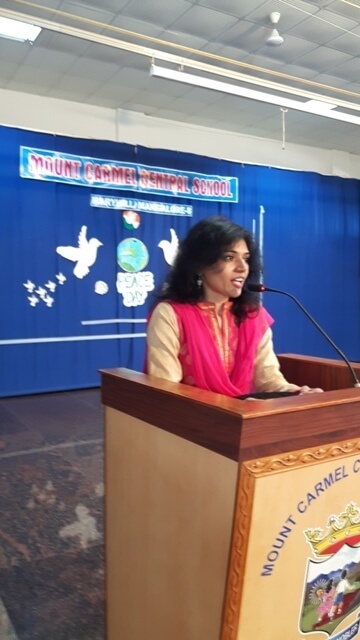 Addressing the gathering Dr. Glynis Miranda highlighted that peace means the world of happiness and harmony without any bias. 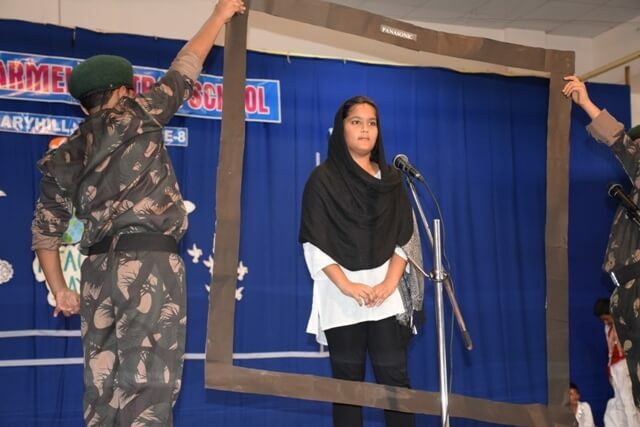 She also inspired the students to resolve to be better persons in their homes and neighbourhood so that the country can radiate peace. 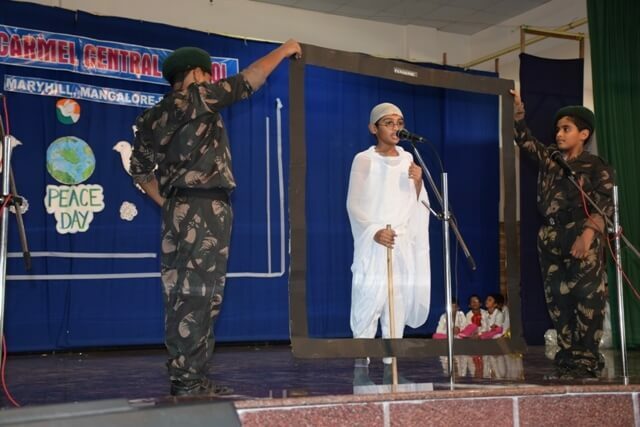 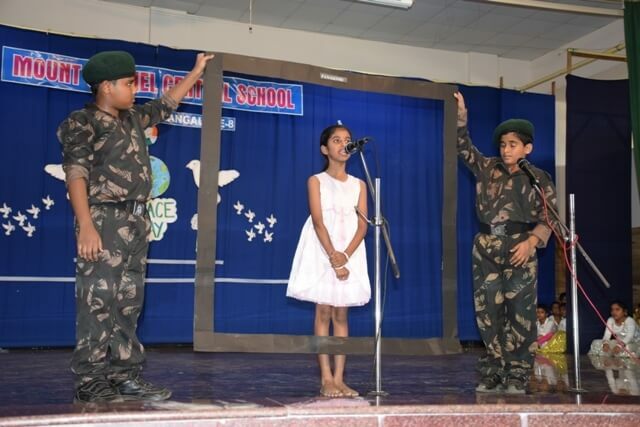 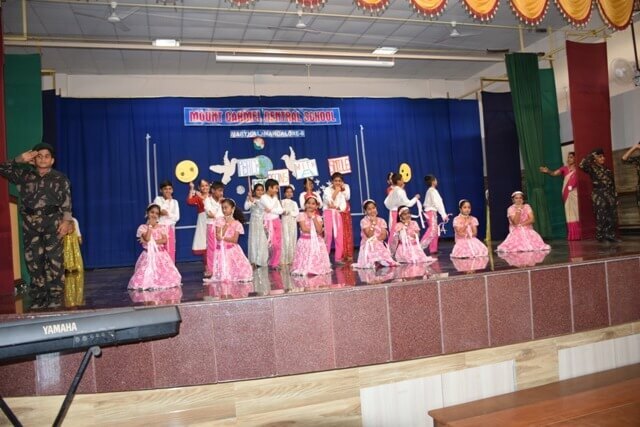 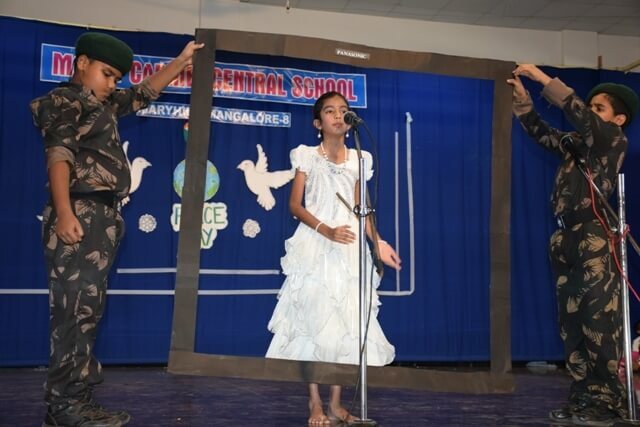 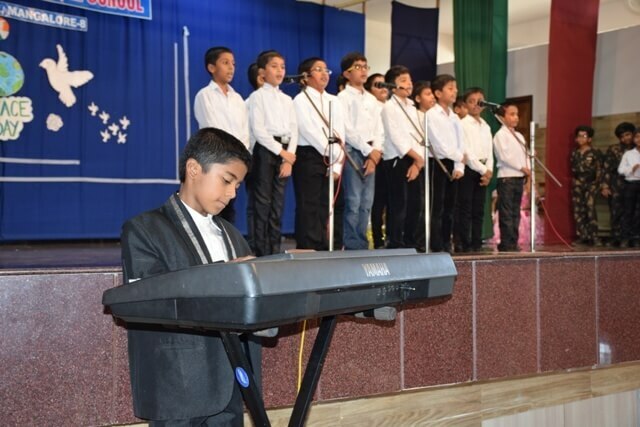 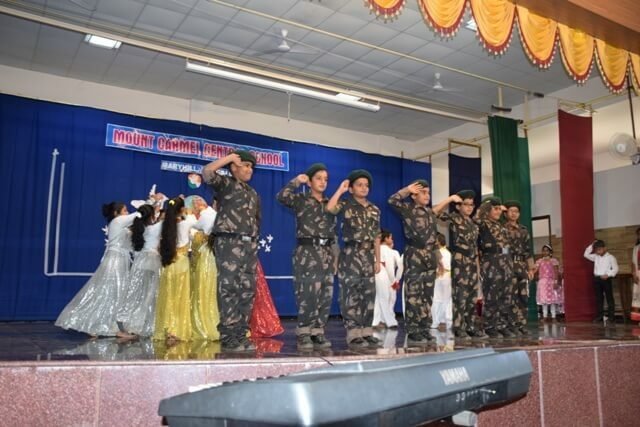 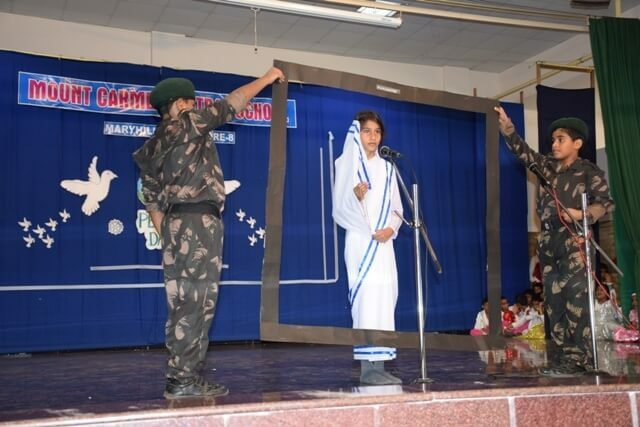 Students of classes IV A and B hosted a cultural programme for Classes IV – X. 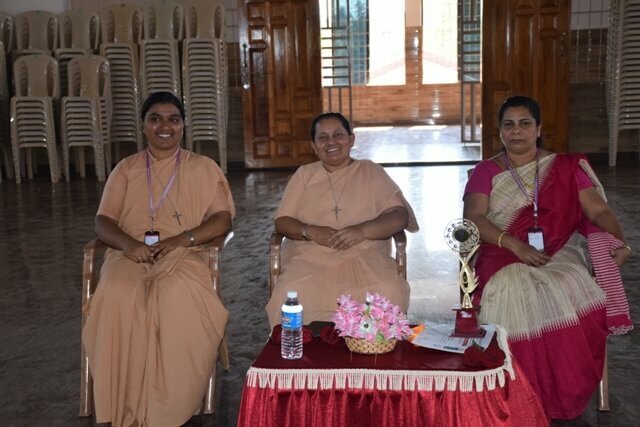 Principal Sr. Melissa presided over the function. 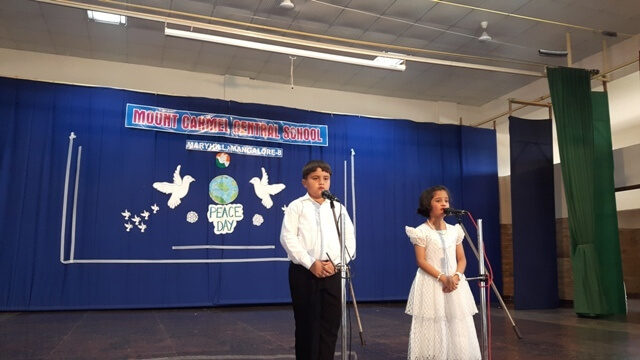 The programme commenced with a prayer service, invoking the blessings of the Almighty for peace and harmony in our country. 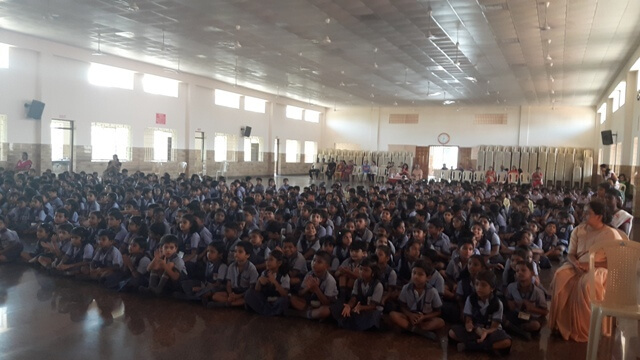 Rochelle of class IV A warmly welcomed the gathering. 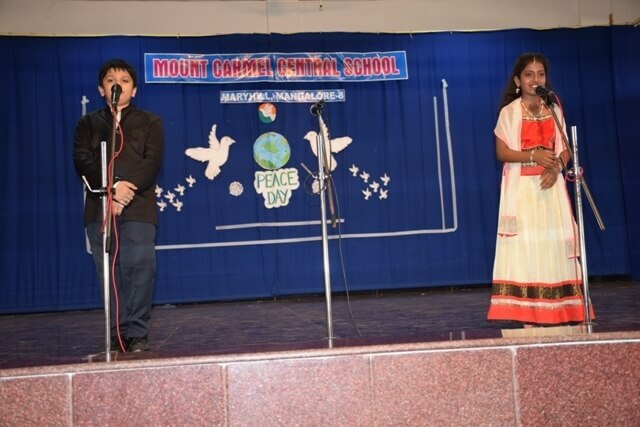 The students thrilled the audience with a touching song on humanity, people living together as one family. 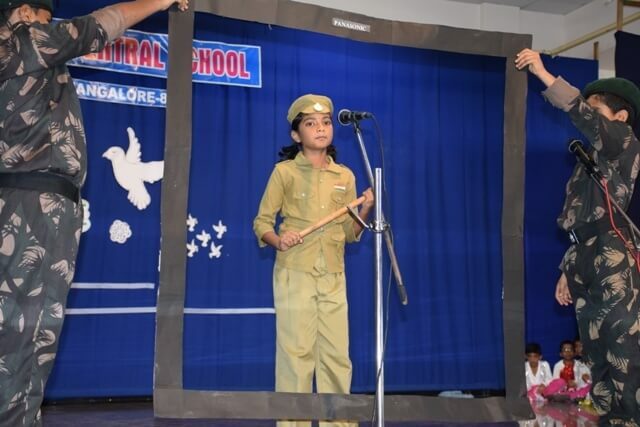 Preksha of class IV A briefed upon the significance of the day by a short power-point presentation. 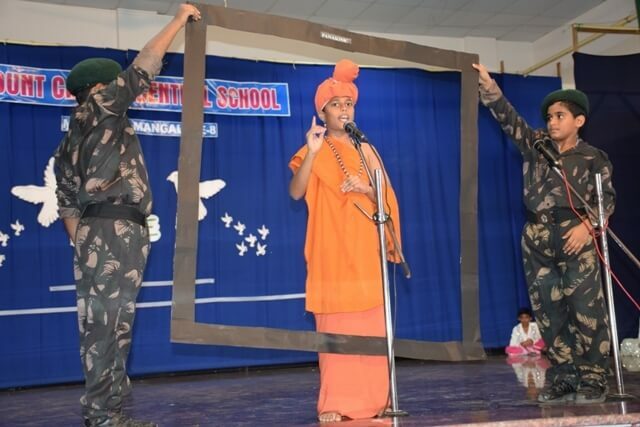 A short but informative skit about our great leaders like Gautham Budda, Mahatma Gandhiji, St. 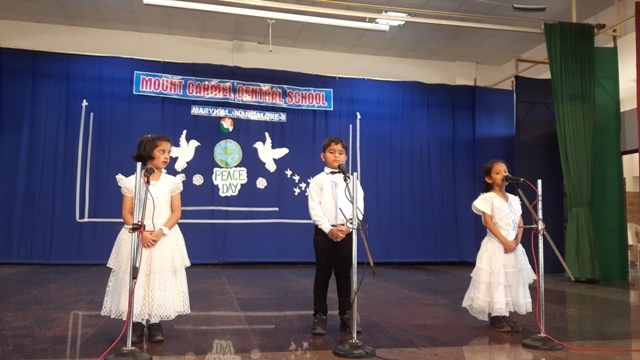 Mother Theresa, Kiran Bedi and Malala Yousafzai who spread the message of peace and harmony was the highlight of the programme. 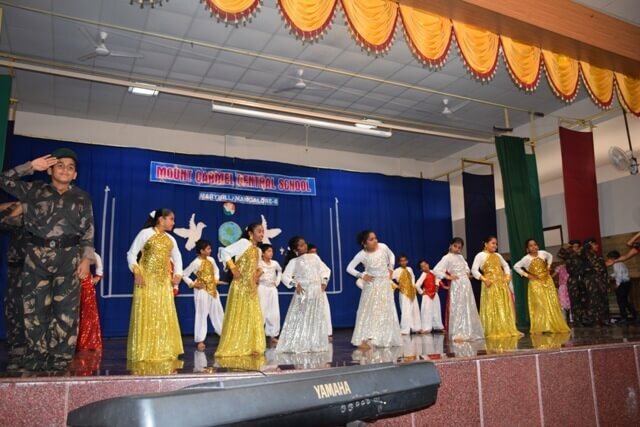 The colourful dances by the little children fascinated the audience. 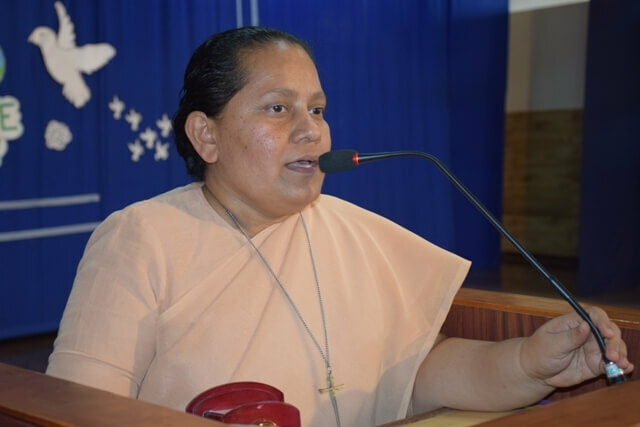 Sr. Melissa based her message on the famous quote “when the power of love overcomes the love of power, the world will know peace”. 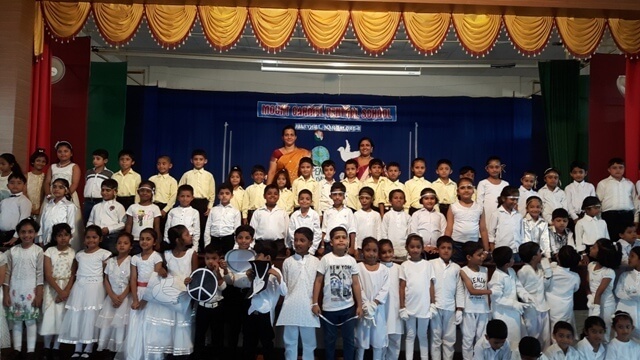 She highlighted the life of Mahatma Gandhi and urged everyone to imbibe his values like love, harmony and non violence and to become instruments of peace in their homes and surroundings. 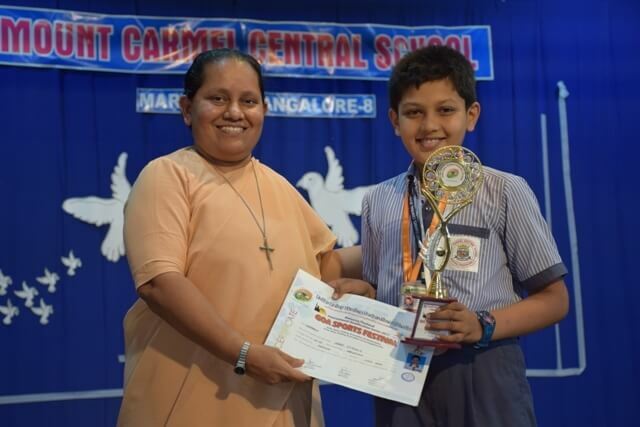 At the end of the programme, Srijithin S of Class VI B was felicitated for winning 2 gold and one silver medal in the Roller Relay Skating – Malaysia/Thailand International Qualification Series 2017 held at Goa. 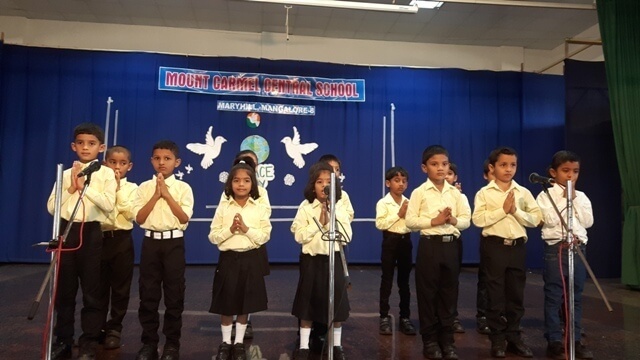 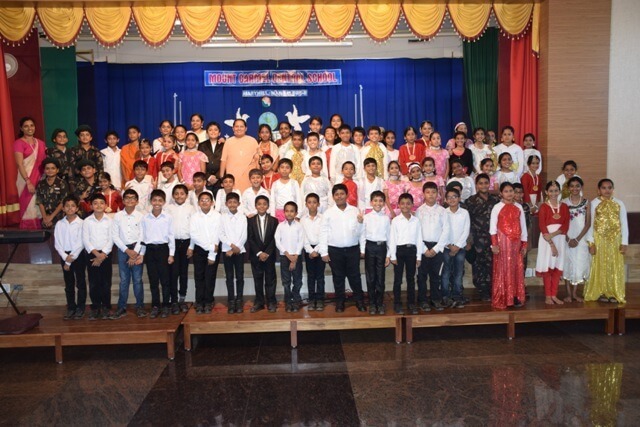 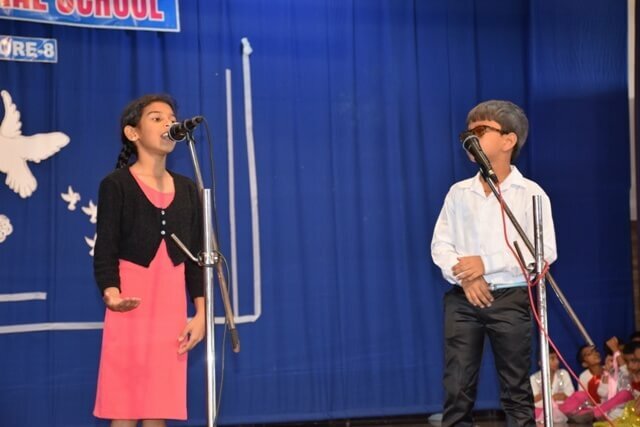 The programme concluded with a message of gratitude by Avaneesh of class IV B. Srishti of class IV B and Ronan of class IV A compeered the programme in a lively and fitting manner.